I have made this pretty little collection of jewellery especially for the Coquetdale Art Gallery in Rothbury. 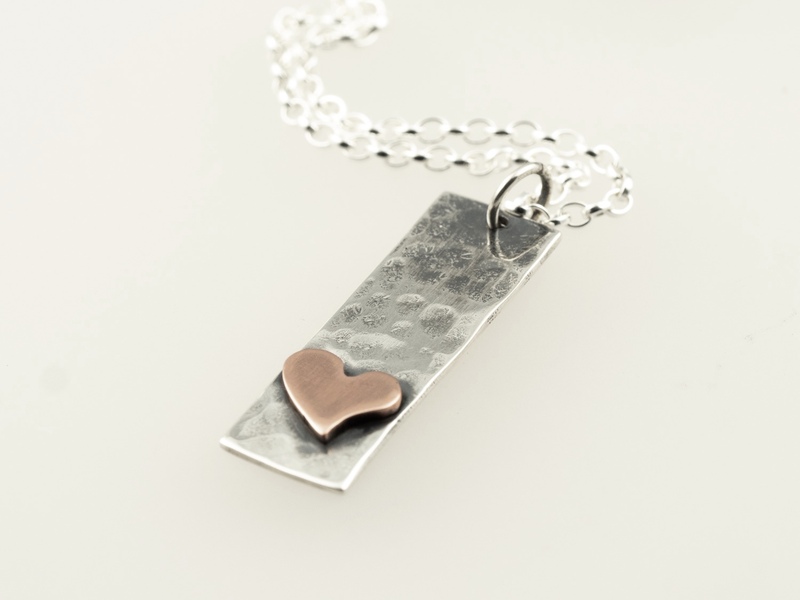 All of the pieces feature warm copper hearts, combined with hammered and oxidised silver. There are two styles of pendant, post and drop earrings, a copper charm bangle, and a silver chain bracelet. They will all be available from the Coquetdale Art Gallery when it opens for the season on 16th March. If you fancy a little copper heart, but you don’t live locally, or maybe you can’t wait until March, get in touch using my contact form, and I’d be more than happy to make something just for you.